Posted on May 23, 2018 May 23, 2018 by Heather W.
Summer is right around the corner and I couldn’t be more excited for warmer weather and all the flavors that accompany the season, especially all the fresh fruit! 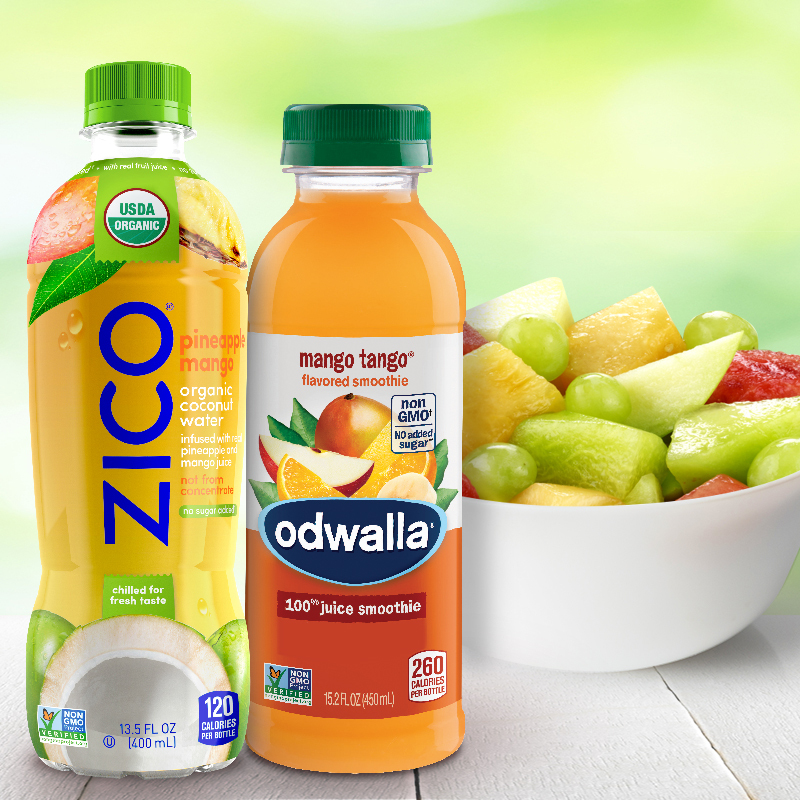 Summer doesn’t exactly mean things are winding down, which is why Odwalla and ZICO products are the perfect staple to fit into your busy lifestyle. Whether they are part of a breakfast, or a pre/post workout snack, these products are a perfect on-the-go solution to those that are trying to make a “better-for-you” choice. For a limited time at Albertsons and Safeway you can Save $1 when you buy any (2) Odwalla 15.2 fl. oz. or ZICO 13.5 fl. oz. and (1) Fresh Cut Fruit. Offer valid with digital coupon. Enjoy all the flavors of Fresh Cut Fruit without the hassle – ready for snacking or to add to your own fruit smoothie or smoothie bowl! Don’t pass up these #FreshCutSavings – available for a limited time! Offer valid 5/16 – 6/12 and while supplies last. Purchase must be made in a single transaction. Digital coupons are not valid unless downloaded to your Loyalty Account. Retailers include: Albertsons, Safeway, Vons, Tom Thumb, Randalls, Shaws, Star Market, ACME, Pavillions, Carrs, and Jewel-Osco retailers.